Staffordshire Blinds and Shutters - Curtains/Blinds/Shutters based in Stafford, Staffordshire. 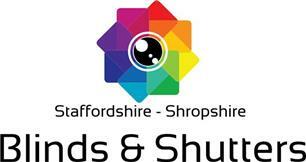 Staffordshire Blinds and Shutters are a local family run business with 15 years experience. We are here to help you achieve your desired look. Contact us today for professional, informative advice. We sell all types of window treatments including shutters and awnings.